I have the samsung gear s2, it has never failed me since a few months ago, the time freezes and I have to wait for when I want the exact time, since I do not know what to do I have uninstalled it and now I use mr time until facer me of a solucion.gracias. So then. I noticed there was an update to facer so I completely uninstalled it to clear my watch. Then I did a fresh install. All seemed ok at first, but then the same thing happened, the image froze time is now 22:30, but as you can see from the image my watch is stuck at 21:55. So clearly not fixed as expected unless I'm missing something. @marcus, I installed the update and my watch is still freezing. It looks like I have version 5.1.2 from 2/8/2019. Please let me know if there are any other solutions. Is this issue being looked into? I am still getting a freezing screen even after the most recent update that supposedly fixed this issue. I am seriously considering removing facer completely as an app that does not work correctly is of no use. Facer, the new update didn't help. Still the same freezing for 1-2 seconds then reverting to the proper time and face. AOD Off. Tizen-wide, for me happens on Gear S3 and Galaxy Watch but i'm 99% sure that it's tizen-wide. Used my G6 Cell to search and download Facer.apk 5.0.4. I had to authorize installation from unknown source to install it but it worked. Mm mm, it is an improvement but incomplete. Over a period of 24hrs, my watch froze 3 or 4 times but it gets out of it on its own. Sometimes, though, it decides to reload the face. Some side effects too, temperature display is from another planet... I wish today's temperature in Montreal was 24 Celsius. Finally, temperature display is correct. One thing to remember, installing an older version does not preserve your personal settings. Temperature display used the default Fahrenheit scale. Concerning freezing of the watch, I use a face which indicates the seconds. When I turn my wrist to look at the time it correctly displays the time when the face last turned off and updates to the correct time within a second. But, sometimes, it takes much longer and more rarely, the face reloads itself. I have to wait for the seconds to start updating in order to be sure the watch displays the correct time. Much better then version 5.1 though. Hi all - thanks for all your reports. We have a new version of Facer for Samsung watches that should fix a number of these issues. This version is currently in review by Samsung and we're hoping it will be available sometime this week. Thanks for your patience! Unfortunately, Facer team, we are back to square one. Same exact issues, only- this update made them more consistent! Not a single watch face functions for more than a few minutes without either freezing the watch or resetting the face. It doesn't matter how simple or complex the face is. Again, this is across Samsung Gear S2 (Classic & Sport) & Gear S3 (Classic & Sport). I saw these latest messages and the new version so I thought I would give facer one last try. I have completely removed from phone and cleared all cache. I have reset my watch and done fresh installs on both. Within 2 minutes my S2 classic had completely frozen yet again. I am just trying to display one watch face and not using any of the switching capabilities. All worked well before the updates in December. Since then nothing but issues. I'm done now, all promises of fixes and new version don't result in anything useful so facer will be completely removed from my devices and I will be amending my review on the app store. If, like me, you have been waiting for a positive report, here is one. I installed the new version this morning and it has been running since without any problem. When flipped on, correct time shows in less than a second. My thanks to Facer staff..
My Facer is currently running for 24 hours without issue after factory resetting my Gear S2 and updating both the phone & companion app. Everything else on the watch was working flawlessly, for over a year and it was unfortunate that a hard reset had to help clear some of the issue... BUT... Thank you Facer for finally working it out! *Every other face sync forces my Facer to reboot before completing the sync (again, it's nice that it actually syncs this time- so thank you for that, appreciate it). *When animated (gif) faces are used, battery indication is becoming corrupted on the device (this morning it jumped from 55% to 17% in a matter of seconds after the watch froze during a sync and i was forced to do a hard reboot. *There is still an issue with custom fonts coming up weird on the device. Such as the glow and stroke effect not taking fully or at all to the font on the watch, but showing up perfectly on the website. 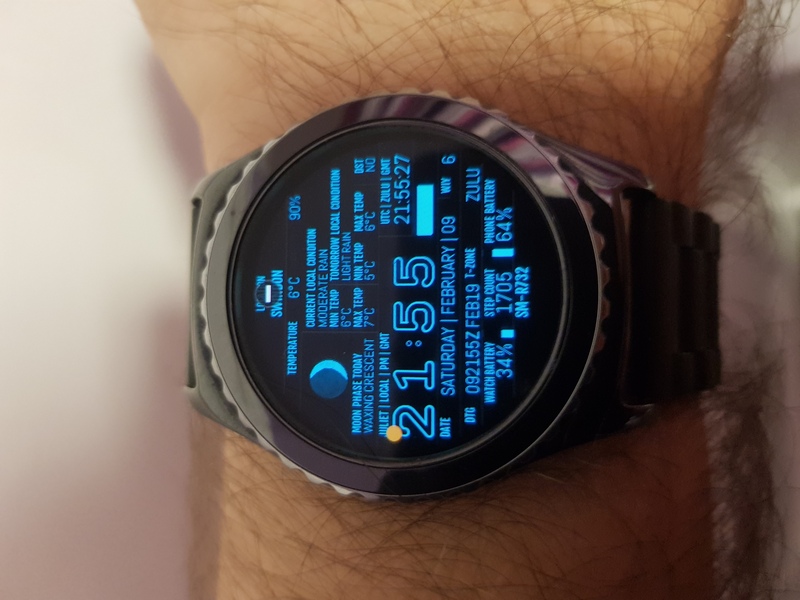 Some fonts just do not show up at all on the watch, but will show on the site. This is becoming a lot less common however, so again- thank you, appreciate it. That's all to report today. Thank you, Appreciate it.